To me, dates are synonymous with the holy month of Ramadan. I understand that it is wise to consume dates upon breaking fast to gently ease your digestive system into accepting food. Dates are packed with vitamins and minerals and are a good source of iron. My mum used to boil red dates with honey and consume it as a health drink. Unfortunately for me, I didn't like the smell of the red dates. Every time my mum boiled her health concoction, I would feel "pening" (dizzy). There was only once that I found dates pleasing. It was on a MAS flight back from Terengganu to KL. It was just after Hari Raya and dates were served on the flight. Those dates were oblong in shape and did not have that characteristic date smell that makes me want to faint. In fact, they were rather tasty. As it is now the fasting month, I find dates here, there and everywhere, displayed prominently at the supermarkets. These days you can also find designer dates at specialty shops, stuffed with nuts and chocolate. Have you ever eaten fresh dates? They are crunchy and taste a little bit like green apples. That took me by surprise. And I tried growing the seeds. Nothing came out of that which was a good thing. It would not do my messy garden any good to have a date palm growing in it's midst. Finely chopped dates. They were very sticky and tasted rather good. When I chanced upon this Middle Eastern inspired cheesecake, I just had to try it. Dates and ginger in a cheesecake. Doesn't that sound exotic? Frankly, my initial response was "yeeeeearrrr.....what a weird combination", given my attitude towards dates. But it did conjure up images of camels languidly navigating the dessert desert and exotic belly dancers gyrating to the hypnotic Middle Eastern beat. And Middle Eastern food. Delicious! One of the most effective way to crush biscuits is to use the good old lesung from the lesung batu (pestle from your mortar and pestle). Very good way to relief frustration, whatever they may be. My weapon of choice. This cheesecake also contains Candied Ginger and I still have some in the fridge. I found the gingernut biscuits to be pleasant but they were not crunchy and rather hard. Not like the usual cookies which are crispy and crumbly. Are they supposed to be that way or had air leaked into the packaging? By the way, how do you say "biskut dah lemau" in English? Since I was not happy with the biscuits, I went to Cold Storage and got another one called Ginger Crunch or something like that. This one said "more gingery" on the package and it was more crunchy like a regular cookie or biscuit. Tasted very nice too but a bit sweet for me. So the biscuits were sweet and so were the dates. And not forgetting the sugar from the candied ginger. I had to make sure that the cheesecake is not overly sweet. This is how it looked like just out of the oven. For the first time my baked cheesecake is cracked and wrinkly. But I am not complaining because everything was fine after it cooled down completely. When it was time to taste the cheesecake, I was worried. If I didn't like the taste, I would throw away the whole cake. I would not serve something that doesn't taste good to me. So here goes........hmmmm! mmmm! mmmmm! My eyes became big as I kept spooning the cheesecake into my mouth. This is rather good! I couldn't believe it! The sweetness of the cake was just right and all the ingredients complemented each other so well. There's the creaminess from the cream cheese, the chewy gooey texture from the sweet sticky dates and the light gingery flavor and crunch from the candied ginger and biscuit base. Beautiful! My notes and adaptations in red. 1. Butter only the sides of a 23cm springform pan. 2. In a bowl, mix the crushed biscuits and sugar. 3. Add the butter and rub it in well with your fingers. 4. Distribute the crumbs loosely but evenly in the pan and push them slightly up the sides. 5. Cover and chill while you make the filling. Note : I melted the butter and mixed it into the crushed biscuits until they resembled wet sand. Then I distributed the mixture evenly and pressed them firmly on the base of the pan. I did not push the up the sides. 1. Using an electric mixer, cream the cream cheese, honey and sugar until light and fluffy. 2. Add eggs one at a time and beat well after each addition. 3. Then add in the remaining ingredients and continue to beat until evenly blended. 4. Pour the filling into the pan and bake for 1 hour and 15 minutes. (I baked mine for about 50 minutes because it was already set and slightly browned). 6. Dust the cheesecake with icing sugar before serving. This post is linked to the event, Little Thumbs Up organised by Zoe of Bake for Happy Kids and Doreen of My Little Favourite DIY and hosted by Alvin of Chef and Sommelier. 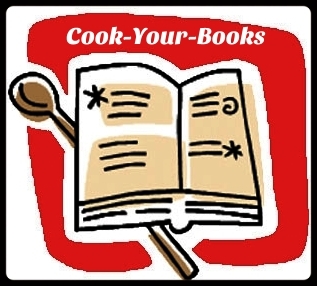 This post is also linked to Cook-Your-Books #2 hosted by Joyce of Kitchen Flavours. Hi Phong Hong, I you baked cheesecakes regularly like I bake cottony cakes. Are cheesecakes your favourite? Very tempting cake.... I used these dates only for cookies. Cheesecakes my favourite. Your cheesecake is of a unique flavour to me. Bet it taste absolutely great. Mel, I was very surprised that it tasted quite good! My husband love to eat dates. Must bake for him. With this wonderful sinful delicious cake, sure he will buy me another Bally handbag...hahaha. Thanks. So makan Carbonara pening, makan cheesecake tak pening pula, kekeke ..this cheesecake sound kind of interesting with ginger..
Wow, this looks gorgeous, Phong Hong. Great dessert! That story of the postcard cartoon is so funny! You had me in giggles! "Biskut dah lemau", we called it "biskut dah masuk angin"! hahaha! In English, no idea!!! I guess we just say it, biscuit no longer crispy!! Your cheesecake looks good! I have never tried one with dates before! Cream cheese without vanilla makes you pening? You are so funny! I have not tried blue cheese before! Bahahahahahha at the gingernut joke! This reminds me I should stock up on these beautiful dates to make desserts, they usually vanish after Ramadhan! Kelly, I am starting to appreciate dates! 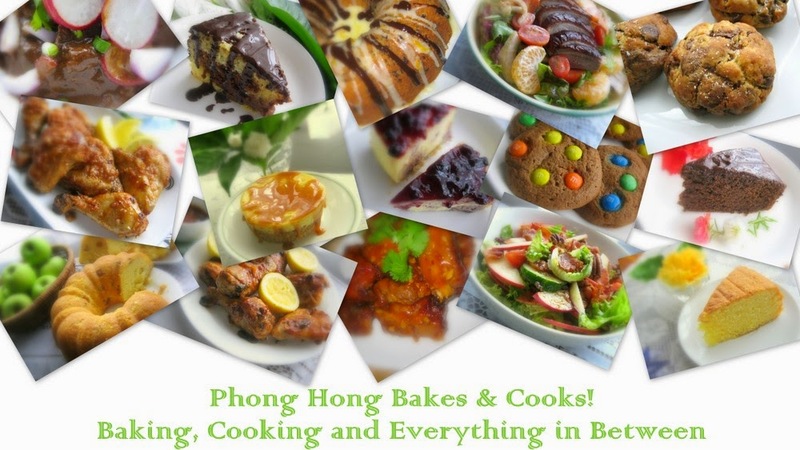 Very interesting flavors Phong Hong, I love dates and always look forward to this raya period so I can get some dates to enjoy:D Love your cheesecake alot, looks so creamy! Jeannie, the combination of dates and ginger sounded very strange but it turned out to be really good! Hi PH! I'm sure all of us are glad that you took the risk on this recipe!!! Arthur, this type of cheesecake can be very "jelak" if you eat too much of it. The cotton cheesecake however is so light that you feel you can eat the whole cake hah! hah! Hi, Phong Hong. You are so "pandai" and so "adventurous" to have bske this cake, looks delicious ang wonderful. I enjoy reading your post! I never tried dates in baking before. Thanks you so much for trying this lovely cake out and sharing with LTU!! mui mui, aiya! I give away all already hee..hee...If you like dates then maybe you can try baking this cheesecake. Very nice! The flavours of this cheesecake are so interesting. Dates and ginger do sound like they would go very well together in this creamy cheesecake! Thanks! I am not crazy about dates but they tasted quite good in the cheesecake. Your cheesecake looks fantastic PH! Now you are really living up your blogname eh, you've been baking up a storm this month :). Yah, hor? Luckily the cheesecake turned out quite good. Try it one day, Esther! I'm licking my lips when looking at your cheesecake, hahaha! Jessie, this cheesecake tasted quiet good! I was so happy. Wish I could wallop another slice but I quickly stop myself and tapau the rest to give away! dates to me are synonymous with ramadan, or if it's red dates, then chinese medicinal soup! I too disliked dates until I tried sticky date pudding! Your cheesecake looks really yummy though! Janine, my next project is sticky date pudding! I heard about it and since I have quiet a bit of dates leftover, I might as well give it a go. I think I've seen (and maybe sent) one of those naughty Scottish postcards before. My hubby always gets asked if he has anything on under his kilt... haha people seem to be fascinated with that! Hah! Hah! Yen, I guess you know the answer, huh? Sure I will support you on LTU. I love eggs!! Thanks, Zoe! I agree that the chosen ingredients motivate me to try new things. Definitely great to hop on the LTU wagon! Wow! What a lovely combination & so exotic cheesecake! I was just imagining those camels & exotic belly dancers not forgetting Mr Macsomething with his kilt tasting this yummy exotic cheesscake! Actually I was imagining Gerald Butler with his kilt! LOL My hubby is a huge fan of dates . Love to try this delicious & flavourful recipe with G.B ! wink-wink hehehe I'm actually making some Middle East Ramadan goodies & dates is mostly part of the ingredients . Phong Hong, your smooth as 'silk' luscious cheese cake with the dates...which I do love, is seriously calling my name! Delicious Curry Laksa Noodle At Kafe One Laksa House, Ipoh.